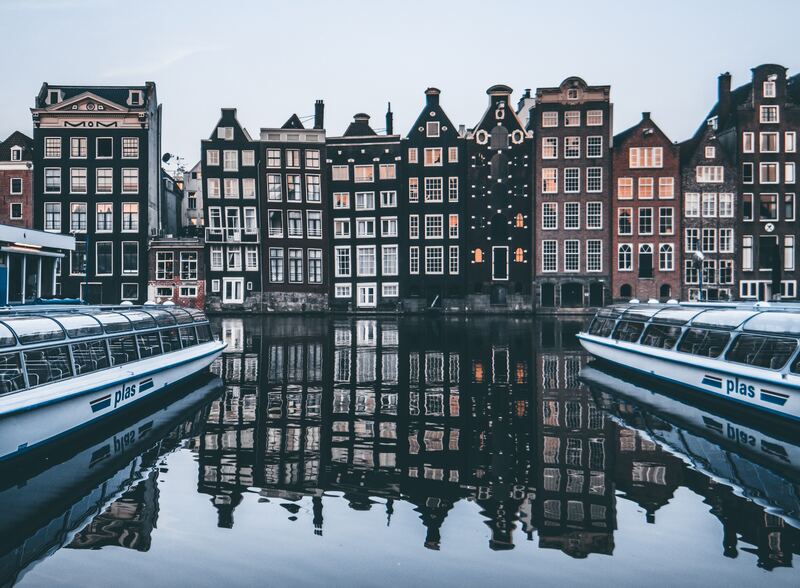 The Netherlands is easily one of the world’s most Instagrammable countries — and this guide will show you where to go. You might not have realized it yet, but the Netherlands is easily one of the world’s most Instagrammable countries. It’s easy to think of the flat country as visually uninteresting, but it’s quite the opposite. With a large variety of beautiful cities that were mostly kept intact throughout the centuries, there are more than enough Insta-ready spots ready to be discovered. While it used to be a gray and depressing mess, recent renovations have turned it into an architectural marvel. Fun fact — it’s nicknamed after a notorious Rotterdam snack with kebab, chips and melted cheese in a tin foil box called ‘kapsalon’. Sure, they’re hard to miss when you’re visiting the Dutch capital, but that doesn’t mean they’re not incredibly Instagrammable. The city’s 18th-century waterways aren’t just well-known across the world for nothing — they’re actually beautiful in real life. Standing tall above the city, the Dom Tower is Utrecht’s best-known landmark — simply because you can see it from anywhere in the city. The best part? With its 112 meters high viewpoint, it’s also a great way to get a bird’s-eye view (and pic) of its surroundings. If you like whimsical architecture, you’ll love the cube houses. These funky cube-shaped houses represent a village within a city, where every house stands for a tree — and all houses together represent an urban forest. While you’re there, why not experience it from the inside? While most of the houses are in use, there’s one you can visit for a couple of euros. Famous for its endless rows of tulips, daffodils, and hyacinths, the Keukenhof is a collection of the world’s largest flower gardens. With over 7 million flower bulbs planted annually over the park’s 32 hectares of land, you’ll never get bored of roaming around to find the perfect spot to snap a selfie. This beautiful, iconic building has one of the world’s largest artworks inside, designed by Arno Coenen and Iris Roskam. The Markthal is a marketplace where you’ll find all kinds of exotic foods, but also get to enjoy some traditional Dutch treats — definitely make sure to check out the nut stall and the Asian supermarket. It’s no secret that the Netherlands has always lived with water and continues to do so until this day. There’s no better place to see this at work than Giethoorn, a small village in Overijssel that’s known for its boat-filled waterways that serve as its de facto roads. Add to that the many centuries-old thatched-roof houses, and you’ve got yourself a picture-perfect spot to snap a couple of pics.